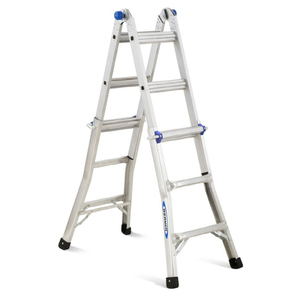 This versatile aluminum ladder can be locked into serveral positions depending on your need. 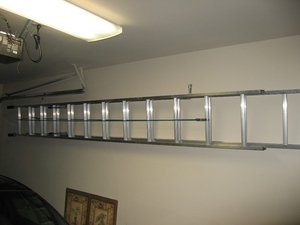 The four primary uses of the ladder are: 16 ft extension ladder (Great for external use e.g. putting up or taking down Christmas lights.) 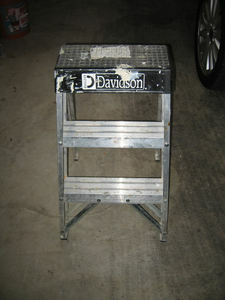 8 ft step ladder (Great for many tasks.) 4 ft scaffolding (Great for interior and exterior painting.) 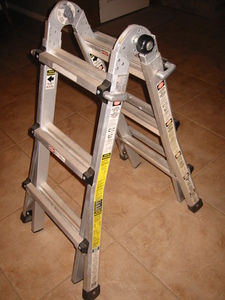 Stair ladder (Great for changing lightbulbs or painting above stairs.) 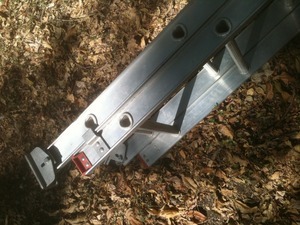 The ladder also folds up into a compact position for transportation.